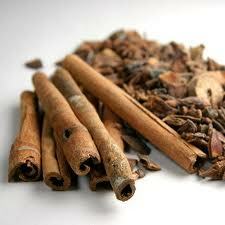 Did you know that cinnamon is useful for something other than the cinnamon challenge? Anyway – I haven’t been feeling so hot since that flu shot so I’ve been wandering around the house whining about feeling like “sheeeeet.” So my mom handed me a mug and pointed at the kettle before disappearing to do work. In light of our conversation about cinnamon, I dropped a teaspoon of cinnamon and some honey into the cup and poured some boiling water over it. Guess what? The tea itself looks like mud, but it is delicious! It’s a little spicy, a little sweet, and it tastes yum! 1 tsp cinnamon, 1 tsp good honey, 1 cup of boiling water. Stir. Drink. Feel better.